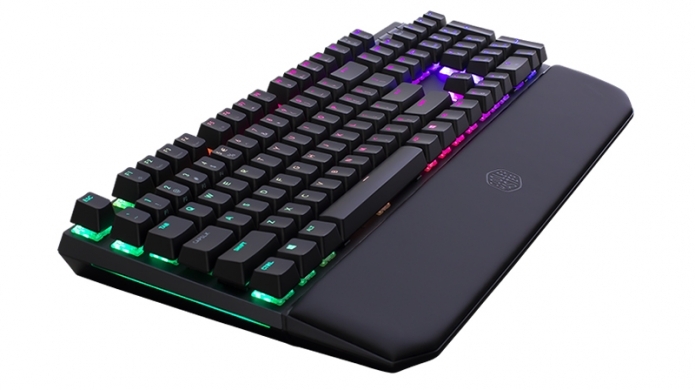 Clickety clickety clack, the return of one our favourite mechanical keyboards from Cooler Master - this time with added wrist rest and dedicated media controls. An overall great package that keeps the simple, elegant, and function over form design we love - that's perfect for both gaming and everyday use. Last year when we reviewed the Masterkeys Pro L from Cooler Master we noted that in terms of design and look that it was “quite subtle, with the focus placed almost entirely on functionality over form”. A sentiment that carries over to what is essentially a new version of premium MasterKeys keyboard from Cooler Master – the MK750. The same floating key design returns here, with the addition of dedicated media controls that sit at a lover level than the keys as to not encourage the accidental pausing of the beats.